Blindness is the inability to see. What are the causes of Blindness? Glaucoma is due to a build-up of pressure within the eye which causes damage to the cells in the optic nerve transmitting visual information from eye to the brain. The damage is progressive with loss of peripheral vision which is followed by reduction in central vision leading to blindness. Age-related Macular degeneration (AMD) is a degenerative disorder affecting the macula at the back the eye. Early diagnosis and treatment by an eye specialist is the key to prevent blindness. Retinal detachment occurs with ageing. However, inflammation of the retina or myopia (nearsightedness) may cause the retina to be pulled and can lead to its detachment. Vitamin A is needed to keep the outer surface of the eye moist and healthy. Vitamin A deficiency leads to decreased production of a photosensitive pigment in the rods of the eye resulting in night blindness results. Left untreated, the patient may become irreversibly blind. Three-quarters of all blindness can be prevented or treated. Blindness is a lack of vision. It may also refer to a loss of vision that cannot be corrected with glasses or contact lenses. 1. Partial blindness means that the person has very limited vision. 2. Complete blindness means that the person cannot see anything or no perception of light. 3 People with a vision worse than 20/200 are considered legally blind. What is the treatment of Blindness? 1. Blindness due to some causes such as infection, Vitamin A deficiency or glaucoma can be prevented through early detection and appropriate treatment. 2. Although vision loss cannot be restored, but medical and surgical treatment can help the disease from further progressing and resulting in complete blindness. 3. Most serious forms of vision loss are painless and the absence of pain in no way diminishes the urgent need to get medical care. Many forms of vision loss will need to be treated early to prevent blindness. 4. Ensure good lighting and install handrails along stairs to prevent tripping and falling especially among the elderly. 5. Sharp corners and edges of furniture may be padded or cushioned. 6. When using lawn equipment, fertilizers and pesticides use protective eye glasses. 7. Avoid toys with sharp points, shafts, spikes, rods and shard edges to prevent eye injuries in children. 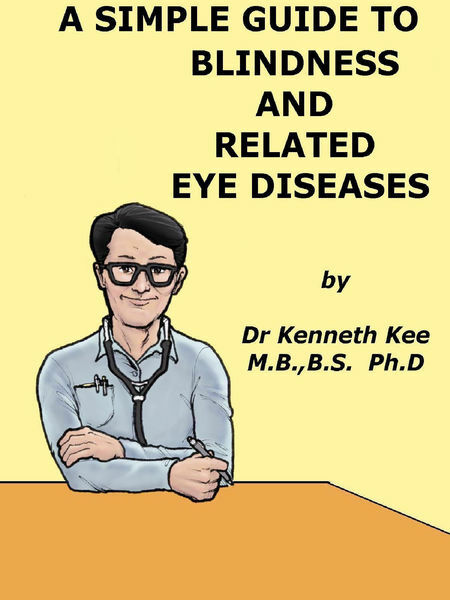 Publisher by : Basic Health Publications, Inc.
Blindness, Diseases, Eye, Guide, Related, Simple permalink.